Watch & Listen is currently in beta. During the next several months hundreds of additional hours of content and new features will be added to the platform. We welcome your feedback and suggestions as we continue to develop and expand Watch & Listen. Submit your feedback. 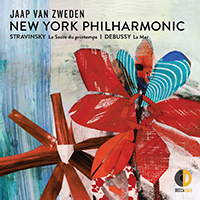 Enjoy a vast array of music from the current season featuring Jaap van Zweden and the New York Philharmonic or venture back in time to discover archival broadcasts from a different era. As a celebration of the Philharmonic experience we've provided hundreds of hours of performances for you to explore. Immerse yourself in concerts, behind-the-scenes video with artists and musicians, slideshows from our tours and special events, and hand-picked playlists featuring many of our favorite Philharmonic moments.